Universal Design; Remembering to Remember. All stations vs. Accessible stations on the London Underground. Not factoring for accessibility from the outset makes it either prohibitively expensive or impossible to substantially improve the Tubes step-free access infrastructure. As Don Norman says: “knowing how people will use something is essential. Knowing about the people is essential.” It’s super-easy to become too grounded in your process, design assumptions and product. I love how this visualisation can act as a touchstone for resetting your empathy for those for whom you are designing. 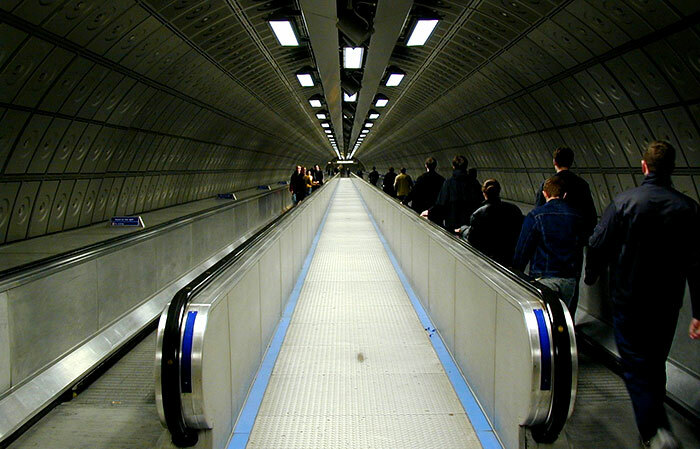 I’ve seen the access points on the tube map hundreds of times, but I’d never noticed the bigger picture – how few there are and how this could impact the utility of the system for those requiring step-free access. In retrospect it’s obvious and a reminder about how lessons from the built environment can helps us craft more effective digital experiences. Showing people a problem, or an opportunity, with a system is a great way to affect persuasion. The simplicity and clarity in this visualisation is something to strive towards in our consultancy and interfaces.